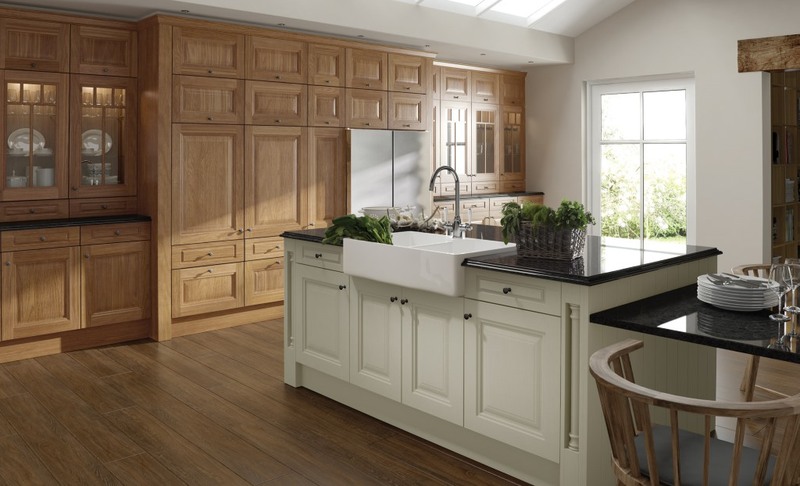 This fantastic classic style kitchen is available here in an oak finish. However there are many more design possibilities. The Jefferson is also available sanded or in a number of carefully selected painted colours which enable you to create great colour combinations. Such as the oak mixed with the painted ivory option which is shown below.